This is a penthouse apartment located on the 9th floor and has just been partly-renovated. On your left as you enter is the second bedroom with two single beds and wardrobe. On the right is the bathroom with a washing machine. The master bedroom is at the end of the hallway and has a queen bed and a wardrobe. The open plan living area has a brand new kitchen. Guests are welcome to use all areas of the apartment. There is usually off-street parking available for one car and plenty of free on-street parking. Mt Victoria is one of Wellington's oldest and most popular suburbs. It was first settled in the early 1840s and was named in honour of the Queen. It's prime inner-city location and green reserve, means it is a highly desirable place to live. If you are a light sleeper this apartment may not suit. The apartment is in the city, so please expect some noise that comes with this fantastic location. Also, the building elevator is next to the bedrooms so there is some humming noise that can be heard when the elevator is moving. -This is a residential area so please respect our neighbours. -Please leave everything as tidy as you found it. Potential for noise - This apartment is in the city so there will be some city noise at night. The apartment is also next to the elevator shaft so some noise can be heard. the apartment is small, but has everything you need and is in a great location, walking distance to the city. The lift noise is not that bad, we got used to it quite quickly:) Loved the view! Great location for cricket watchers - overlooking the Basin Reserve. Great location for cricket watchers - overlooking the Basin Reserve. The lift has "character" but is not intrusive. Well fitted out compact apartment and very convenient for downtown Wellington. The penthouse was clean, modern, and laid out well. The penthouse was clean, modern, and laid out well. The kitchen was very functional and fully stocked with any implements you may need. The view from this place is truly incredible. It is an awesome sight at night as well. Noise wise-as mentioned in the listing, would bother medium & light sleepers. I did not sleep as well because of it, but my wife did not have any issues with the noise. The only reason this rating isn't maxed is because of the noise, otherwise I would move in! The elevator lift up is a bit scary as the building is very old BUT the spectacular views make up for it and the hosts have done a great job in modernising the apartment. Great place to stay, can walk to most places around wellington and great views, clean & tidy. 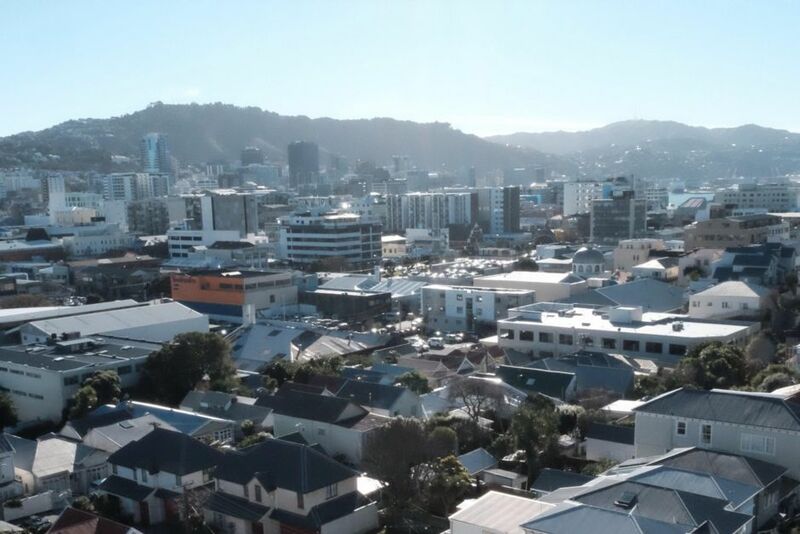 Great place to stay, can walk to most places around wellington and great views, clean & tidy. The only downside is the noisey lift but u get used to it. Staying in this wonderful space has been perfect for comfort and relaxation plus for working and thinking ... close to Wellington central, but quiet and private with stunning views. I will try to stay here again every time I am in Wellington - thank you to the owners for sharing such a lovely home. It was a pleasure having you, look forward to welcoming you when you are next in Wellington!